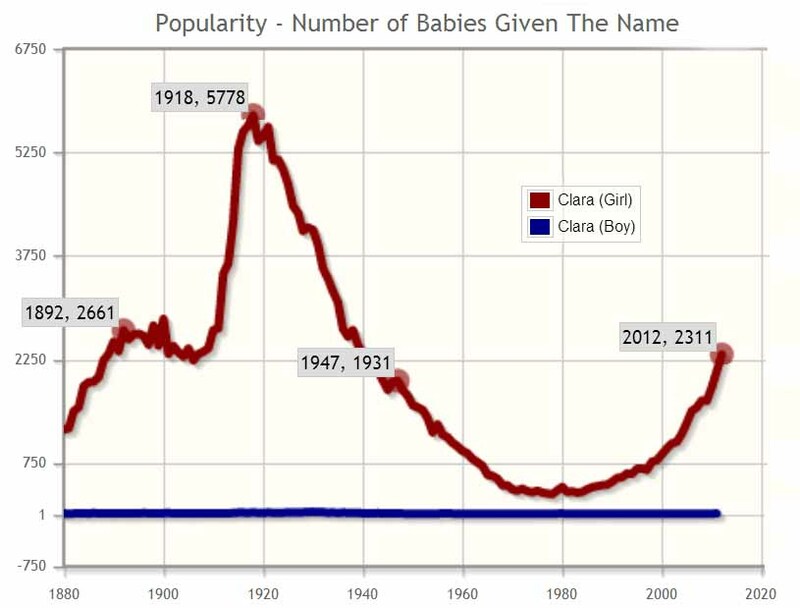 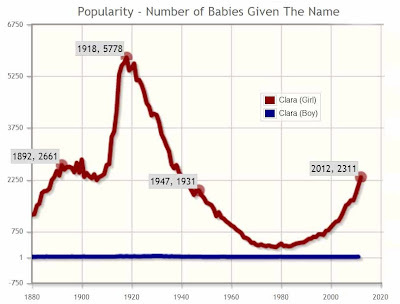 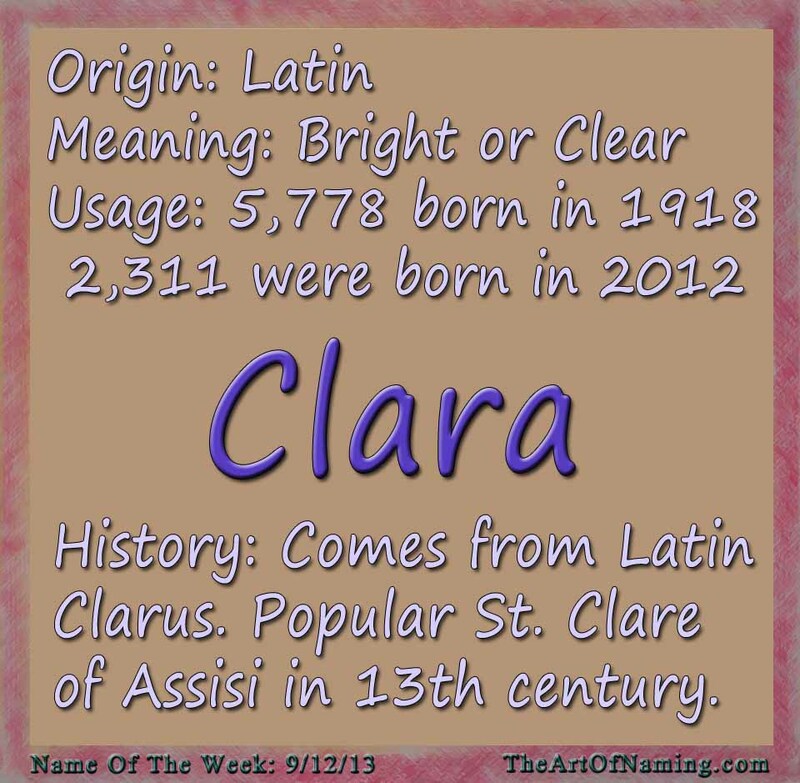 Clara is a beautiful name, and I'm not surprised it is rising in popularity. 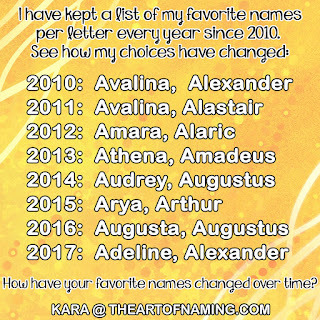 I would have used it myself, but then I discovered some people pronounce it like Claire-uh, so that put me off a bit. 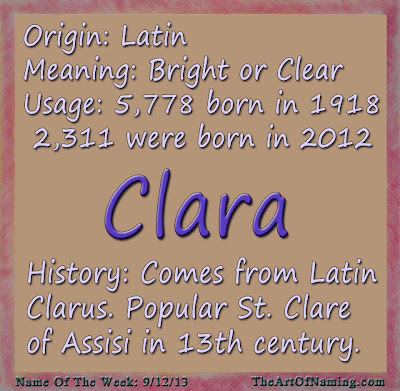 We would have paired it with family names, and I most often see Clara Elizabeth, Clara Rose or Clara Mary/Marie in birth notices.